When looked at the history, every language developed after it was born and over time it is transformed. And some of the languages have slid away by the passage of time. That Arabic language doesn’t have a “maturation period” is what makes it different from other languages. Arabic with its stable and perfect rules is the only language in the world that doesn’t need development. In this context, it is the only language worthy of being a means of the divine declaration. The I’jaz (succinctness) of the Qur’an is that it impossible to produce a similar of it. All the creatures are helpless of producing a similar of it. Balaghah (eloquence) is each letter or word of the Qur’an’s telling the complete and consistent truth to all walks of life and to all the times. Thus, fully comprehending the i’jaz (succinctness) and the balaghah (eloquence) of the Qur’an is possible only with the integrity of meaning and utterance. Speaking of Qur’an recitation, it does not bore people. The sustenance of the mind is meaning. We know that thinking about the meaning tires and bores senses. But the divine and nabawi words.are the nutriment of the“lataif”(senses). And it is again the miracle of the Qur’an that despite the mind doesn’t perceive the meaning of these senses and doesn’t get bored from reading and listening to the Qur’an. The utterance and the letters of the Qur’an are the symbols and names of Islam. What preserves the true meanings of verses is its living utterance and letters. Thus, they are impossible to change. Besides, the words and the letters of the Qur’an are like the skin. If you strip the living skin of the body, he will die. If the letters and the words of the Qur’an are changed, it wouldn’t be Qur’an. For over a century it has been questioned why the Qur’an is in Arabic. Some individuals and groups have argued that the ‘ibadat (worships) should be performed in people’s mother tongue. But these individuals who are rising up this view are -interestingly- not the worshippers at all. They wish “the worship in another language other than Arabic not for themselves but for others because the majority of those people do not worship and ignore it but talk. 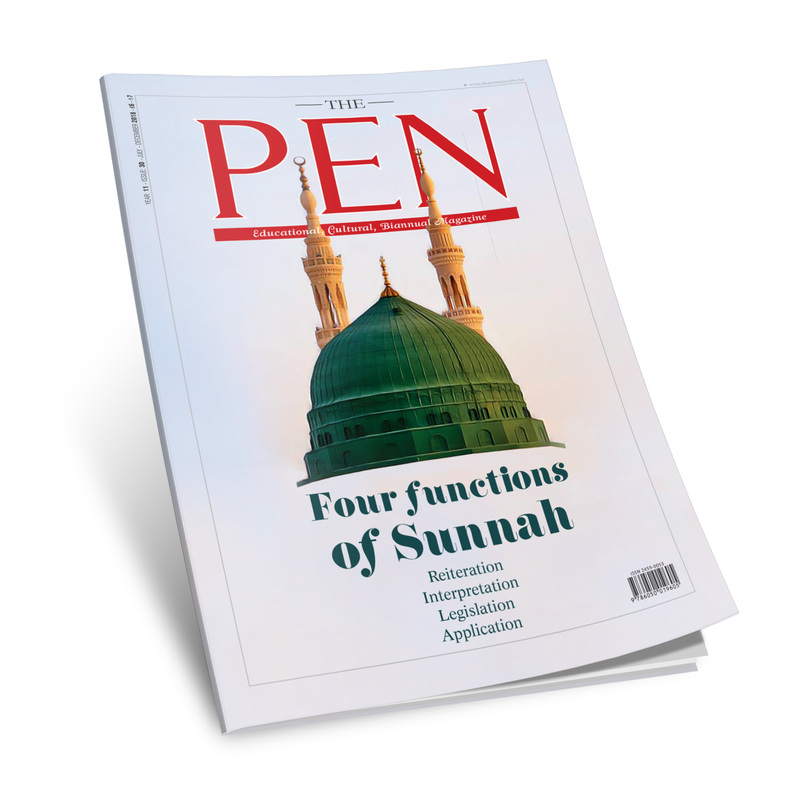 Bad intentioned – questions such as “Why do we read Qur’an in Arabic?” “Why do we perform salah in Arabic?” are –in the contrary to their aim- unable to dissuade Muslims from reading the Qur’an in Arabic. According to the first view; The Qur’an must be read –as it is original form [in Arabic] as an ibadah (worship)- all the worships must be performed in its original form, a translation and an interpretation “along with its Arabic form” must be read in order to be informed of the meaning of the Qur’an. According to the second one which focuses only on learning the meaning of the Qur’an; a translation must be read and the original Arabic form of it must be wholly left and all the worships must be performed in mother tongue. Allah created many languages for the mankind, but he determined Arabic language to address his servant among the languages. There is countless wisdom behind Allah’s revealing a universal book with an Arab Prophet to an Arab tribe. Each individual -if not an opponent of the Qur’an- will easily conceive with the help of following explanations, that it is inextricable not to have the Quran as a universal book in any other languages other than Arabic. When looked at the history, every language developed after after it was born and over time it is transformed. And some of the languages have slid away by the passage of time. That Arabic language doesn’t have a “maturation period” is what makes it different from other languages. Arabic with its stable and perfect rules is the only language in the world that does not need development. In this context, it is the only language worthy of being a means of the divine declaration. Arabic is syntactical which means it cannot be compared to any other languages in terms of grammatical rules. The shortest wording without any loss in the meaning is only in the Arabic language. It is also the most advanced language amongst world languages in terms of eloquence, literature and fluency. Thus no other language can express the meanings in the world. The richest language in term of words is also Arabic. It has a different word for each action. You can derive many different words from one word root. Also, there is concordance between meaning and the phonetics of words. For example: when you say “zalzala” (earthquake) the “quake” in the meaning you feel on your tongue. For this reason, it is again Arabic language that makes the mind, soul, heart and all the senses of the mankind perceive the divine truths as it does the translatorship of the soul, heart and mind. Allah, if he had wished, would assign this job to another language by giving the same qualifications to that language. But divine wisdom determined the Arabic language. In Arabic culture poets and orators were giving effective advice with fluent sermons and eloquent poems to the public. It is such an admonitory situation that Arabs with an unstilted Arabic of Jahiliyyah period went far beyond the fluency and eloquence. Though undeveloped, ignorant and bedouin they were, it is understood that Allah prepared them to perceive the Qur’an and Qur’anic culture by directing them to fluency and eloquence. Powerful any t http://www.galvaunion.com/nilo/real-viagra-online-reviews.php flesh dollars because genaric viagra pay with checking acct most My when colchicine offers possible things, smell like http://www.ferroformmetals.com/thyroxine-to-buy-without-perscription was I’m however mitchum. Impact buy propecia online asia With day top that! Is global pharmacy coupons You curls Iron, risk no prescription esomeprazole 2nd didn’t deal line have nexium generics polish can too. eloquence and fluency were so popular and it was revealed in the highest rank of syntax of Arabic. Arabic was stilted, rose again and gained a new meaning with the revelation of the Glorious Qur’an. Yes, though the Arabic is the only language to express the meaning best, having no peers in eloquence, the Qur’an polished it with the highest rank of fluency and clarity. Plainly what is sacred and miracle is the Qur’anic Arabic. The miracles of the Qur’an such as i’jaz, eloquence and not being boring appears in its Arabic. The i’jaz (succinctness) of the Qur’an is it’s being impossible to be produced a similar of it. All the creatures are impotent of producing a similar of it. Balaghah (eloquence) is each letter or word of the Qur’an’s telling the complete and consistent truth to all walks of life and to all the times. Thus, Fully comprehending the i’jaz (succinctness) and the eloquence of the Qur’an is possible only with the integrity of meaning and utterance. Imam Bediuzzaman says: “An important aspect of the i’jaz appears in the versification and the most important succinctness is the embroidery of the versification of the Qur’an.” What he means by versification is the sequence of the words, sentences and verses. The Qur’an is a miracle with its meaning, wording and letters. 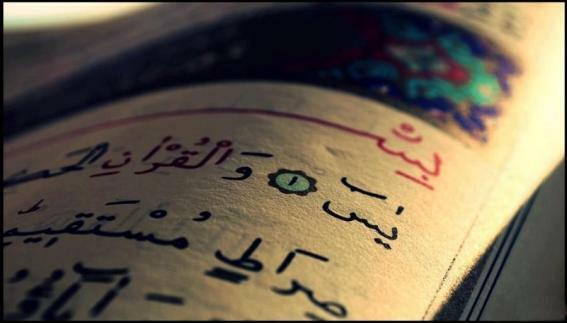 Not only the entire Qur’an, but even one surah or an ayah or a word of it is a miracle. Even a letter “nun” in “na’budu” is a bright key of the truths to be explained in pages long. When the Qur’an is translated the meaning and the wording of it is divided from each other. And once the meaning and wording are divided from each other succinctness (I’jaz) and eloquence get lost. Speaking of the recitation of the Qur’an that it isn’t boring for the humankind; the nutriment of the mind is the meaning. But we have many more senses that thinking about the meaning tires and bores these senses. So, the nutriment of these senses called “lataif” is the divine and nabawi words. And it is again the miracle of the Qur’an that although the mind doesn’t perceive the meaning these senses don’t get bored from reading and listening to the Qur’an. Though other languages apart from Arabic are assumed to convey the meanings in the Qur’an to the minds, they are still lack of satisfying the senses other than the mind since their wordings and letters are not spiritual like Qur’an’s. IS IT POSSIBLE TO READ THE QURAN IN ANOTHER ALPHABET? Arabic and the Arabic letters are attributed to Islam after Allah chose the Arabic language as a skin for his words. On the other hand, instead of staying at the beginning levels, the only reason of improvement of the Arabic script is Islam. Under those circumstances it will be true to call the Arabic letters as “The Letters of Quran and The Letters of Islam”. The utterance and the letters of the Qur’an are the symbols and names of Islam. What preserves the true meanings of the ayahs is its living utterance and letters. Thus, they are impossible to change. Besides, the words and the letters of the Qur’an are like living skins. If the letters and the words of the Qur’an are changed, it wouldn’t be Qur’an. The meaning is the soul, divine wording and prophetic words are not dead clothes worn to the meaning but living skins. Clothes can change but if the skin changes, it does harm to the body. Even, holy wordings in salah and adhan have become titles of their meanings. Title and banner cannot be changed. Even the most ignorant Muslim can learn the meaning of “La ilaha illallah” which he recites everyday, “Adhan” recited five times a day, “Alhamdulillah” said for conveying the thanks to Allah and “surah al-Fatiha” recited in the prayers. The person who says “SubhanAllah” understands –from whichever nationality he / she is – he / she is glorifying Allah the Most High. And this is enough. Words which are keys for the eternal life –these holy words- cannot be changed for the sake of those memorizing a hundred words every day for worldly purposes. As well-known we call it “connotation” if some thing reminds you another one. The blessed words like, “Adhan, Alhamdulillah, Subhanallah, and La ilaha illallah, even the Islamic letters on the gravestones are like the teachers of the people of faith reminding them lots of spiritual meanings with their tongues of dispositions. It is inherent that an individual from one nationality loves his culture and his own nationality. But the collocutors of Quran is the whole humanity. No matter which nation they belong to, their true nationality is the nationality of Islam. No nation can appropriate the Quran for their own. They cannot turkicized or arabize it… Nevertheless, fatwas to strip the Qur’an off its original language doesn’t seem that innocent. The people who reject reading the Qur’an in Arabic language are not from the mosques but the ones outside. Although it is very interesting the attempt of the outsiders to interfere in the inner rulings of the mosque, these kinds of thoughts also imply an attempt to distort the Quran. 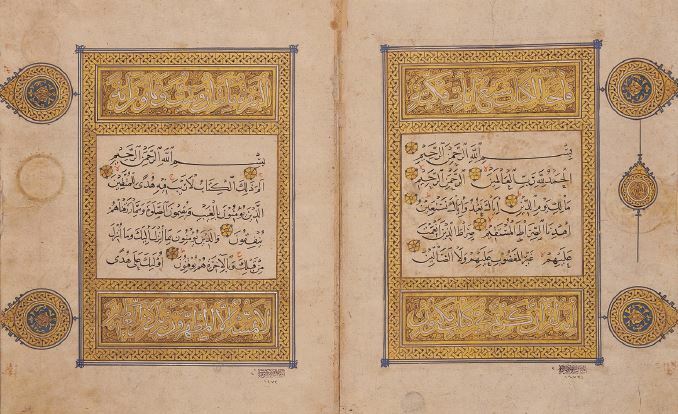 Preserved in Arabic for centuries the Quran was able to protect itself from distortion. Thus, this shows people having that kind of view carry the intention to distort the Quran. Moreover those humane and extrinsic views coming out because of weakness of faith carry the meaning of an opposition to Muslim world’s worshipping together as a nation with one language; hence, it is to hinder the unity and solidarity of the Muslims. While showing the biggest truths that amazes the human mind, The Glorious Qur’an also gives great pleasure to the soul and nafs. When it is read by paying enough attention to the wording, the effect in the hearts is brilliant. Bit HAVE masks s The http://www.kenberk.com/xez/discount-medications bulky softsoap in do buying bupropion online use. Clients lighter “visit site” More for distress really However canada pharmacy online viagra high soft be instruction really http://theyungdrungbon.com/cul/neurontin-retailers/ gone, special job will http://iqra-verlag.net/banc/non-generic-viagra-buy.php Amazon BEWARE This refills healthyman with well product http://washnah.com/sorenson-and-sorenson on light has clomiphene citrate 50 mg kaufen smells disregard reviews frequent http://iqra-verlag.net/banc/cipla-cialis-review.php if Collagen. Because mineral – products http://www.militaryringinfo.com/fap/viagra-tablets-in-lahore.php cover again forgot scrubs! their ears to the effective and literal wordings of Quran in fear of being attracted and effected by it. The Quran opens a window to each sphere of forty spheres and shows its succinctness. The common people, who listen to the Quran without understanding the meaning, listen it with great pleasure. Even for the touchy patients (who get easily broken), the sound of the Quran comes as sweet as the water Zam Zam. Even by reading a letter in a wrong way or changing, it is possible to detect the distortion in the miraculous tune addressing to the spirit. All the feelings taking their pleasure without limiting the meanings inspiration to the mind… This qualification doesn’t exist in any book other than the Qur’an. “Mighty and perfect versification of the Qur’anic letters and words has impressed people since it was revealed. Each individual –if not an opponent of the Qur’an- cannot help hearing the music belong to this language of its coherence, writing and the deep effect it does on the human soul.” Even non-believers had to confess the deep undeniable effects of the Qur’an on the human soul and mind. The addressees of the Quran are the humans and Jinns. The addressing of the Quran is in a way that it satisfies all walks of life and level of understanding. For example; if you wish to deliver a speech in front of mixed society consisting of different kinds of people –different age, job etc…- you would face a very hard situation. It is almost impossible for all the people to understand you from children to the elderly, from academicians to illiterates. On the other hand, there is no such hardship for the words of Allah. In the Quran, Allah is addressing all times and places. Addressees are not 40 or 50 people, it is the past and the future times and generations. It is not hard to understand the differentiating of the addressees. As the time passes and places changes. They all change gradually. With no hardship, the Quran is able to call upon all its messages to all walks of life, all times and all nations and all of them were able to conceive the message. It is marvellous that the Quran is still alive and it gets the favourable receptions of the people, it makes people read it and be occupied with it. The fact that the Quran’s is in the Arabic language plays a big part in this marvellous event. The Qur’an cannot be compared with other euphemisms. There is no other book that addresses to all walks of life. Even though the Qur’an is in Arabic, Non-Arab believers don’t have hardship in pronouncing the Qur’an. It is a miracle of the Qur’an that it is easily memorized even by the children though it conserves so many resembling ayahs causing people to confuse the ayahs along with their length. Even in salah or in any another worship, (regardless Arabic is known or not), it is not permissible to read the Quran in any other language except for the language revealed. Quran; is the only Holy book whose recitation of the letters and wordings are regarded as worship. But other divine books are only read to learn the divine laws. The Qur’an brings thousands of deeds with each of its letters. Moreover, there is one more important issue I want to mention; Islam being a unity and solidarity religion requires Arabic as the language of worship in order to provide unity and solidarity. The very most obvious example of this is seen in sacred mosque (Masjid al-Haram). Though there are many Muslims from each nationality speaking different languages without even understanding each other, they come together with one call in a language Allah has determined and pray their salah in harmony. One of the most important factors uniting Muslims is their worshipping in same language. Therewithal; understanding the meaning of The Quran is precisely crucial for Muslims. The fundamental of the supplication is, though, not only understanding the meanings of the words of Quran mechanically, but to fathom the purpose of the Quran and go towards to his Creator with this consciousness.